There are a total of 114 posts available and the last date to apply for the same is on November 22, 2017. 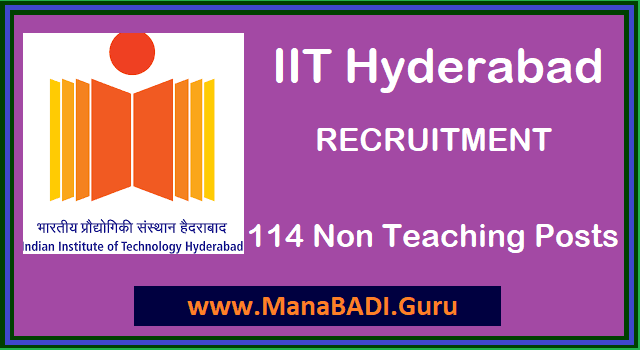 Applications should be delivered to “The Registrar, Indian Institute of Technology Hyderabad, KANDI 502 285, Sangareddy District, Telangana” before the last date. “Only REGISTERED/SPEED POST LETTERS sent through India Post Service reach the above address. Courier Service is NOT available at Kandi, ” IIT Hyderabad said in a notification. Step 1: Go to the official website as mentioned above. Step 2: Under the “other links” menu, click on “recruitment”. Step 3: Click on the link beside “NF/6”. Step 4: Read the instructions provided. Step 5: Click on either “Application Form – Non-teaching Positions 1 to 20” or “Application Form – Non-teaching Positions 21 to 23”. Step 6: Fill in your details in the fields provided and mail the application form on time. Remember to save a copy for further reference.